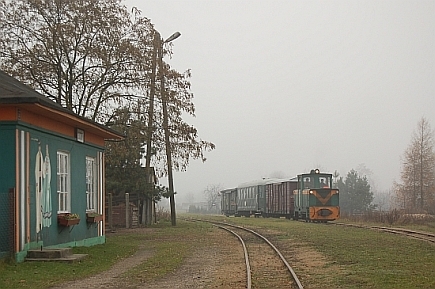 The Warsaw Railway Museum occupies some prime development land. Map courtesy Google Maps. 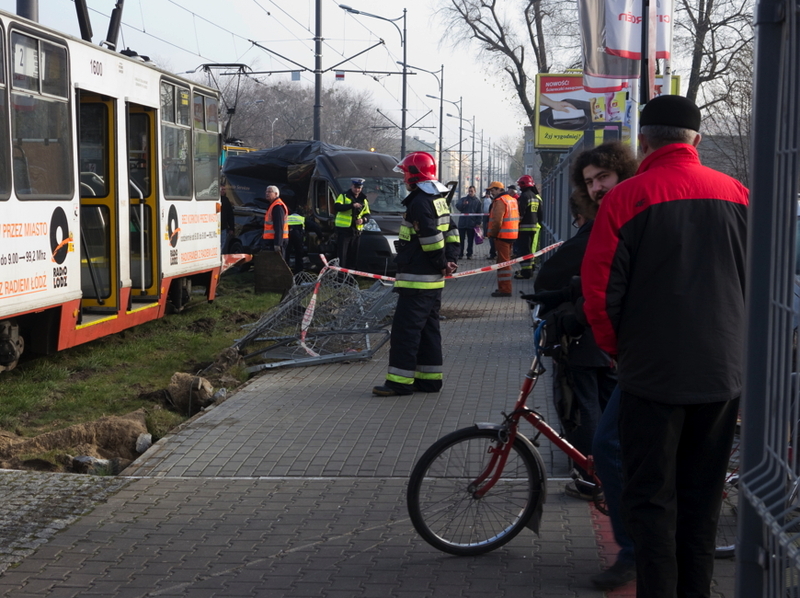 For some time now, it has been clear that PKP SA and the Warsaw Railway Museum were on a collision course. PKP bosses have wanted the Railway Museum to move to another location so that they could develop the former Warszawa Glowna land. 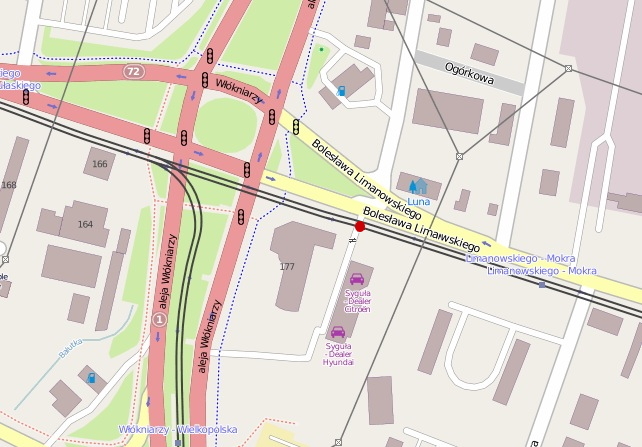 It is PKP’s premium development site in the centre of Warsaw. Ferdinand Ruszczyc, the museum director and his staff do not want to move. The current location is comfortable for their commuting and, if there is going to be a profitable development, they feel the museum should share in any development premium going. In July this year, Infrastructure Minister, Slawomir Nowak, refused a request from the museum to stay PKP’s hand with respect to starting court proceedings to expel the Museum. 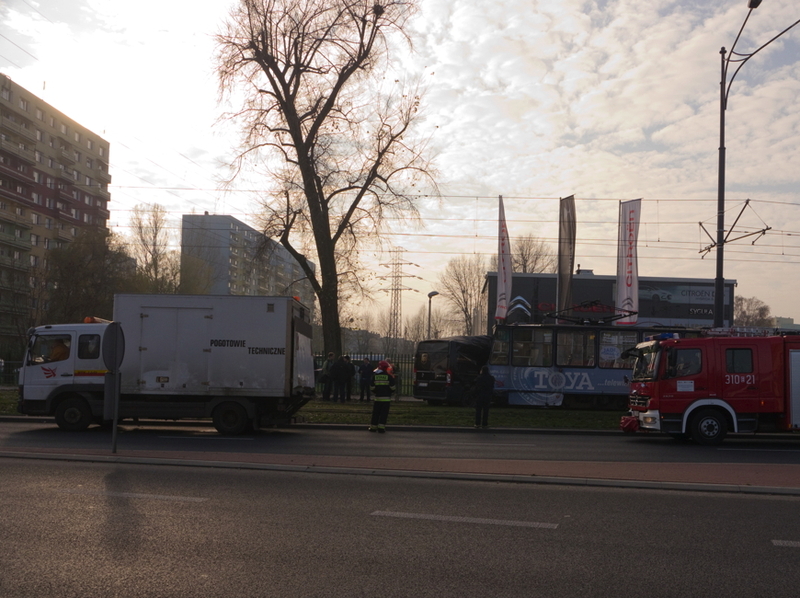 The first salvoes were fired in a Warsaw court this Tuesday (20 November). There will be several more sessions before the court reaches its decision. While it is totally unacceptable that PKP appears to shirk its responsibilities with respect to its history and heritage, it is difficult in this case not to have some sympathy with its position. The current site is far from ideal. Locomotives and rolling stock are cramped together nose to tail and slowly rust away under open skys in the toxic city air. The Museum has had several years to develop a ‘Plan B’. That time has been frittered away in its dispute with PKP. Meanwhile the opportunity to create a world-class railway museum elsewhere with the aid of EU funding has slipped away. Projects which lack a minimum of five years security of tenure cannot be funded from EU funds. On Tuesday this week, the first legal salvoes were fired in Warsaw court. 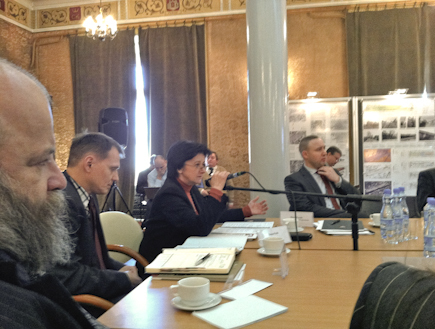 One of several meetings organised by the Railway Museum to promote its own plans for the Warszawa Glowna Site. The PKP SA team state their position. Photo BTWT. 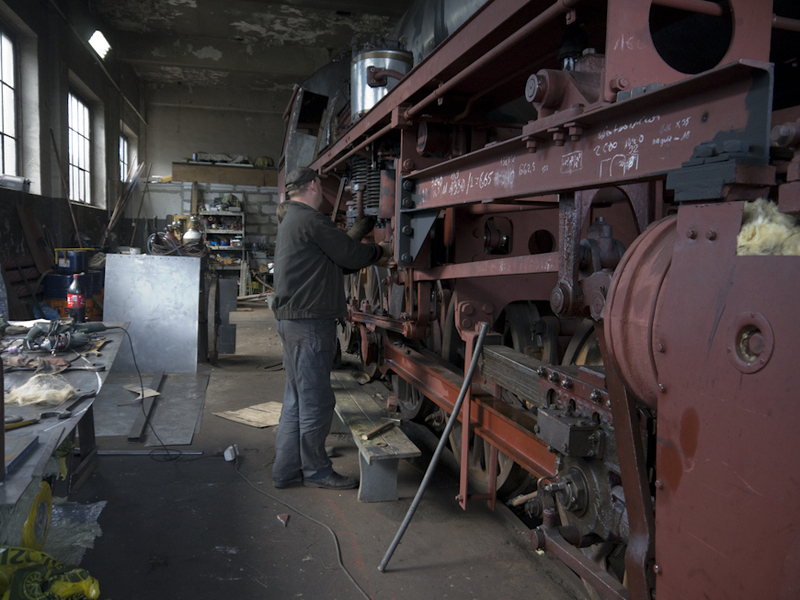 Adam Struzik, the chief executive of Mazowsze province (the operators of the Museum), says that he has no money to fund the move of the rolling stock, nor to develop a new museum in another location. PKP are unapologetic, they are between a rock and a hard place and need to generate the maximum possible returns from the redevelopment of their redundant real estate. Any surplus left after making the scheduled yearly debt repayment, is desperately needed as ‘own funds’ for the next round of EU-funded investment projects. As often is the case with problems that appear to be insoluble, the solution lies in some ‘out-of-the-box’ thinking. It seems unreasonable that all the burdens of running what is de facto a national railway museum should rest on the shoulders of the Mazowsze provincial government. 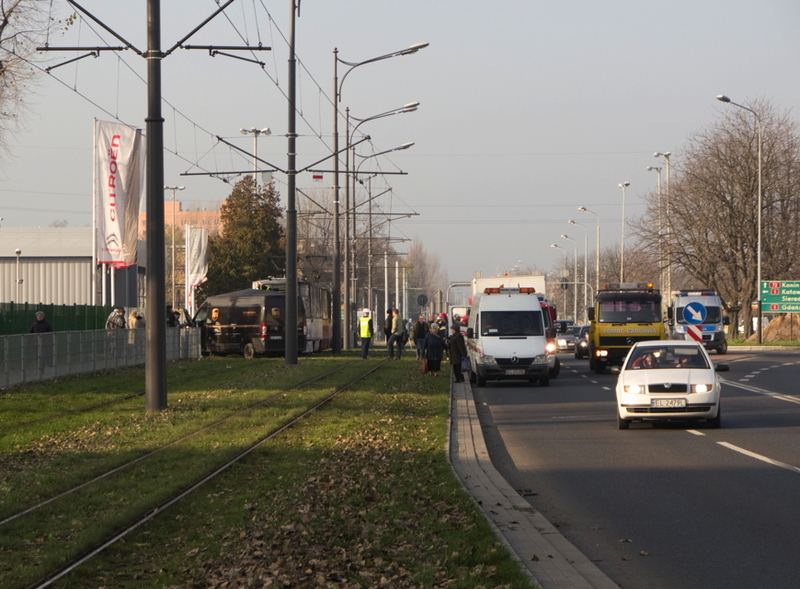 The Mazowsze province includes the city of Warsaw and has much of its funds is committed to modernising the trunk transport infrastructure of the region. If the province cannot fund the running of a proper national railway museum, then why not look to a more modest objective. 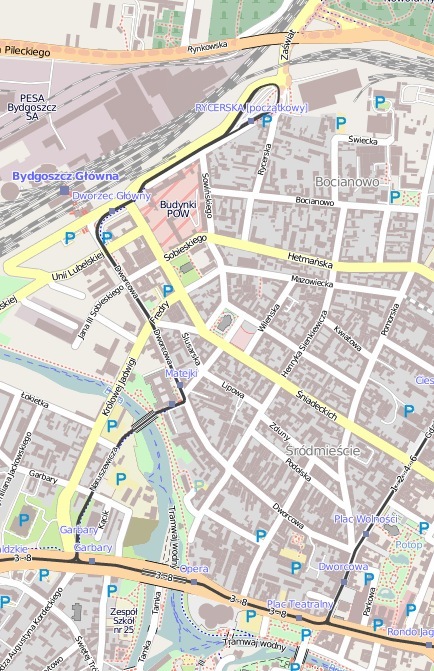 If the city of Szczecin, which is hard up relative to Warsaw, can develop a municipal transport museum in an old tram depot, then why does the provincial and city government not work together to do the same? After all there is a tram depot complete with workshops and skilled staff less than half a kilometre from the current Museum site! This would be a grand place to display limited collection of locomotives and rolling stock that have connections with the city and province as well as trams and road vehicles that have local links. Meanwhile time is fast running out for discussions with local government officials elsewhere as regards establishing a proper national railway museum worthy of Poland’s rich railway heritage and history. The PKP press office was asked for a comment regarding the company’s dispute with the Museum, but were unwilling to do so over the telephone. 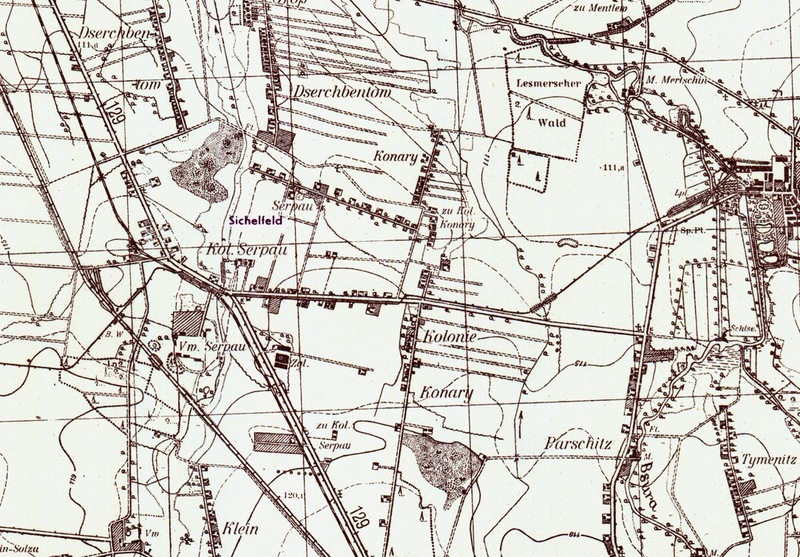 A postscript to Early Sugar Beet Railways in Kujawy. Lesmierz No 10, Borsig 10357/1918, 0-8-0T on a sugar beet train in January 1980. Photo ©Tomasz Wach estate. It seems like another age, yet it was not quite 50 years ago (1964 or 5), that a cousin took me to see the yard (1) of the Gdańska Kolej Dojazdowa at Gdansk Wask and I had my first taste of Polish narrow gauge steam. Sadly, ten years later in 1974 the whole of the GKD on the left bank of the Vistula was closed and much, but not all, of the GDK followed suit in subsequent years. During that same trip to Poland I found myself on a family organised visit to the palace to Wilanow to the south of Warsaw. In those days one went by tram to Wilanow, so I was happy enough, but when I discovered that the Wilanowska Kolej Dojazdowska ran from the gates of the park, I decided to pursue my own itinerary and, while the rest of my family went sight seeing at the palace, I and an attractive Warsaw cousin minder explored the WKD and the Grojecka Kole Dojadowa for the rest of the day. We took a strange looking petrol(?) railcar to Piaseczno. I remember being disappointed that the line from the then terminus at Wilanow (the line had run once run as far as pl. Lubelski) ran as a roadside tramway through Powsin and Klarysew, but then the ride became more interesting as we passed the junction to Konstancin and I spotted some dumped 0-6-2Ts (2) before we reached Piaseczno Miasto. Miraculously three of these locos have survived and are now mouldering in the open at the skansen in Gryfice. Piaseczno Miasto yard was bigger in those days (a few sidings have since been removed to make room for a road) and resembled a busy main line junction. Here we changed trains to ride in what I regarded to be a ‘proper train’ hauled by a Px48 as far as Warszawa Poludniowa. From here we took the tram back to the city centre. A few days later I had another Px48-hauled trip on the Marecka Kolej Dojazdowa from Warszawa Wilenska to Radzymin. When Ed Beale brought my attention to the wonderful narrow gauge pictures of the late Tomasz Wach, as part of his photographic research for the Early Sugar Beet Railways in Kujawy article, all these memories came flooding back. We wanted to reproduce Wach’s photographs of engines working on the Dobrzelin and Lesmierz sugar beet railways to illustrate the article and corresponded with Tomislaw Czarnecki on whose website Wciaz pod Para Wach’s photos are hosted as well a contact that we had been given for a representative of Wach’s estate. Sadly, though at first our correspondence seemed to be leading to a positive conclusion, it then petered out without us receiving a clear ‘yes’ or ‘no’. Wach’s collection goes back to 1962 and continues through to 1995. It includes pictures of narrow gauge engines working on the Gdańska Kolej Dojazdowa, the Grojecka Kole Dojadowa, the Mlawska Kolej Dojazdowa, the Nasielska Kolej Dojazdowa as well as on the narrow gauge railways belonging to the sugar refineries at Dobrzelin, Guzow, Lesmierz and Mala Wies. There are also preservation era photos of unusual steam working on the narrow gauge lines in Elk and Sochaczew. In addition there are some splendid pictures of – mostly older – standard gauge locos working in various locations. 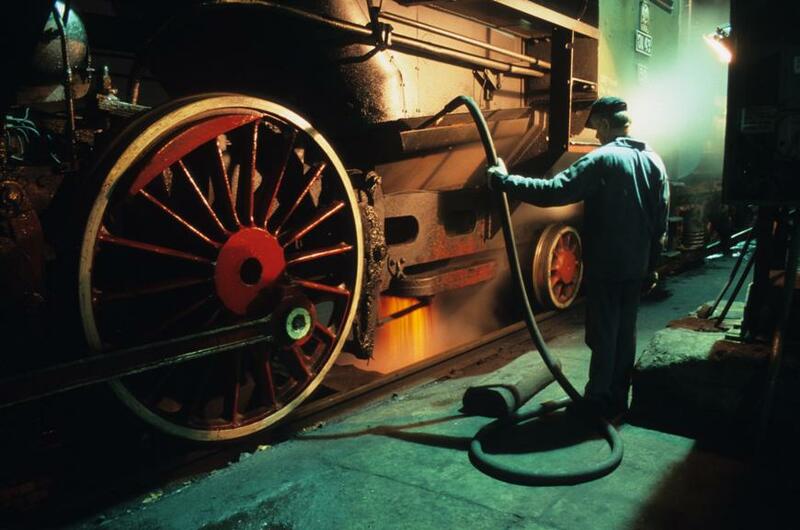 Wach’s pictures are from a past era when railway photography was strictly forbidden and only a handful of photographers managed to record what was an an amazingly diverse steam scene. We publish this review to celebrate Wach’s achievement and courage. It would be wonderful if someone (maybe FPKW?) manages to secure the right to reproduce these pictures in print and so preserves this wonderful collection for future generations. All photographs linked to in this article are from the collection of the late Tomasz Wach hosted on Tomislaw Czarnecki’s web site Wciaz pod Para. 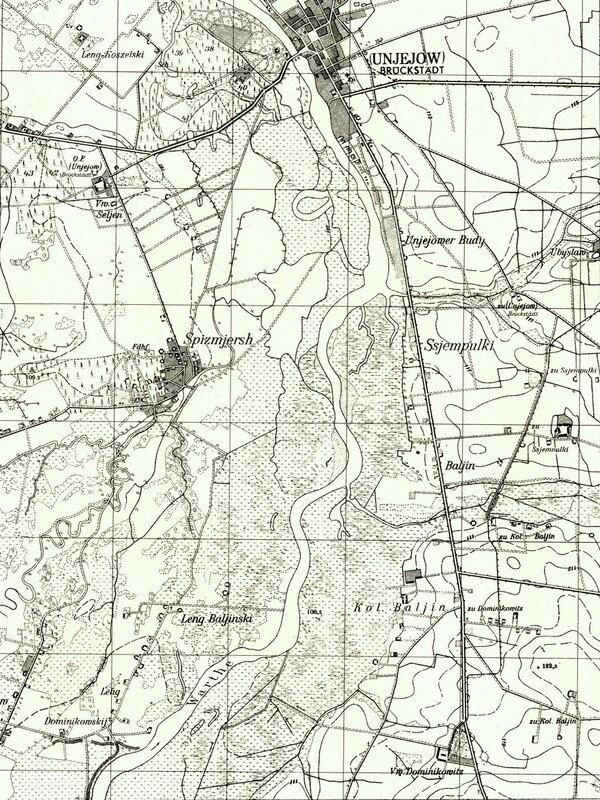 All the maps linked to from this article are courtesy Jaroslaw Wozny and Railmap – Kolejowa Mapa Polski. Thanks also to Ed Beale for doing the original photographic research. Pyskowice – Last chance or last rites? TOZKiOS volunteers working on Ty42-24 in a secure workshop somewhere in Gorny Slask province. Photo BTWT. 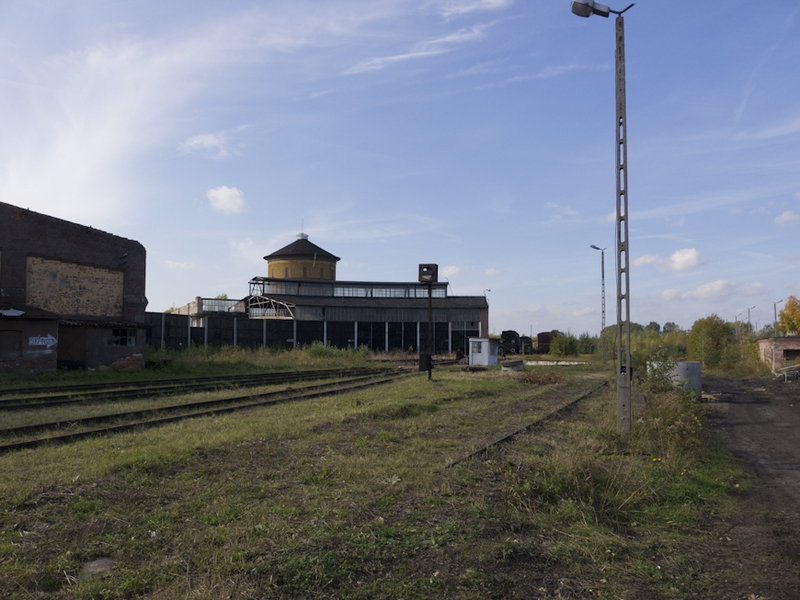 Following the recent unfavourable court decision, the conclusion of PKP SA’s lengthy legal proceedings against TOZKiOS, the railway society operating the skansen at Pyskowice, the society has received a notice to quit the former wagon works next to the engine shed site. It is not quite the end of the Psykowice project, for the society continues to rent the sidings outside the wagon works at a peppercorn rent from PKP PLK, Poland’s approximation for Network Rail. But it is a bitter blow. The move of the restored locomotives and rolling stock from the relative security of the wagon works to the sidings outside will subject them to the same sort of petty thievery as is affecting the remaining collection. 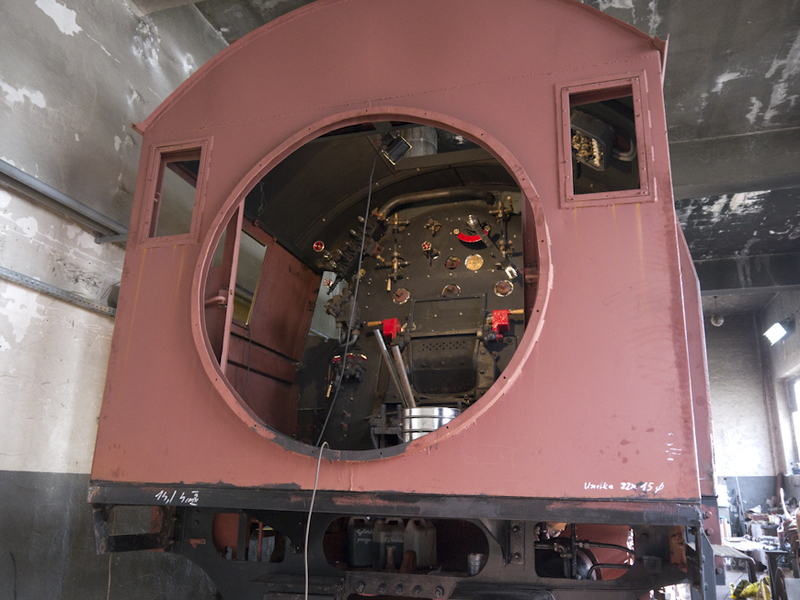 The cab of Ty42-24 in all its restored glory. Photo BTWT. This final blow is particularly painful as the society have almost completed the restoration to working order of Ty42-24. The 2-10-0 has passed preliminary pressure tests and needs only a few more months work before it can move under its own power. The Pyskowice site. The engine shed with partially collapsed roof is in the foreground, some of the sidings leased from PKP PLK are just visible behind the shed, the wagon works is behind and completely hidden by the roundhouse. Photo BTWT. There is a last chance meeting between society officials and local government representatives this Monday morning 5 November. All of us at BTWT hope that the meeting goes well, but we are not holding our collective breath.